The exercises in Practical Life are the very heart of Montessori education. 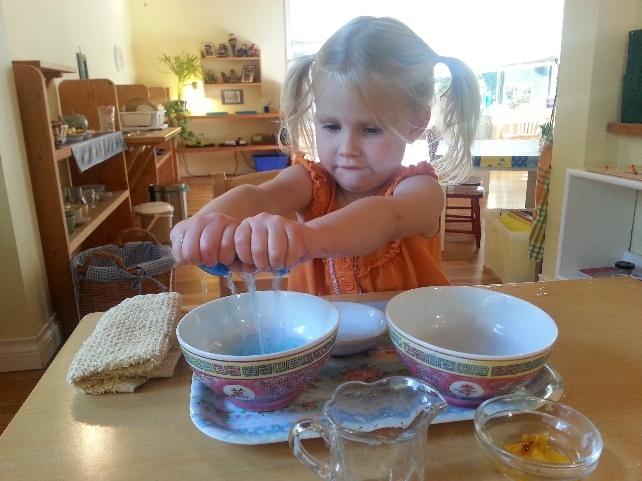 As young children wash tables, pour liquids, polish silver, sweep and dust, they are developing calmness, order, concentration, coordination, as well as expanding their fine motor skills. 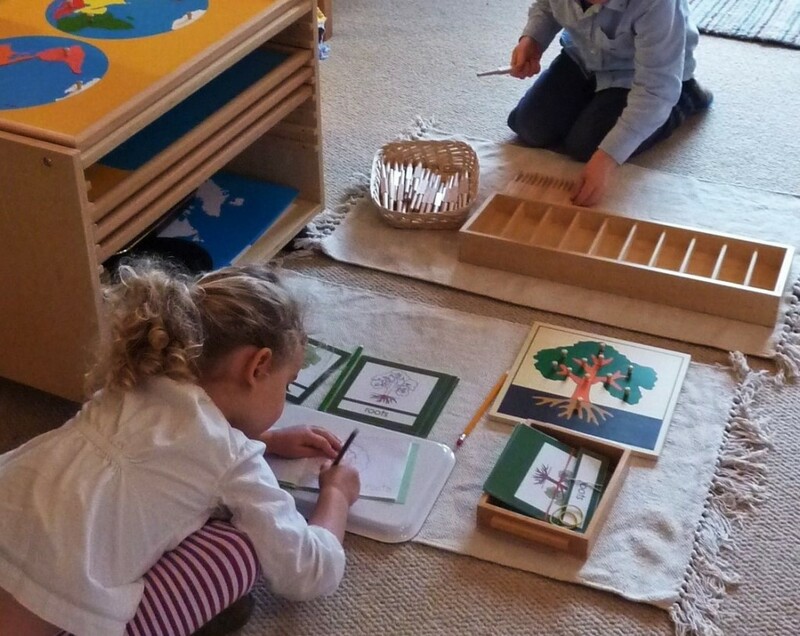 At the same time, through the process of learning to meet their own needs, learning to take care of the classroom environment, and through the experience of helping others, children in Montessori programs begin to develop independence, self-confidence, and self-respect. Having watched adults in their environment performing these activities children want to carry them out too. In the Montessori prepared environment, using tools of the right proportions, children can efficiently and effectively perform these tasks. All exercises must be real and not make believe, and they must always be available for the child to use. Tools not toys. The child is introduced to very simple activities at first, such as how to carry a chair, to roll a work mat, to wash their hands etc., only gradually becoming more complex. 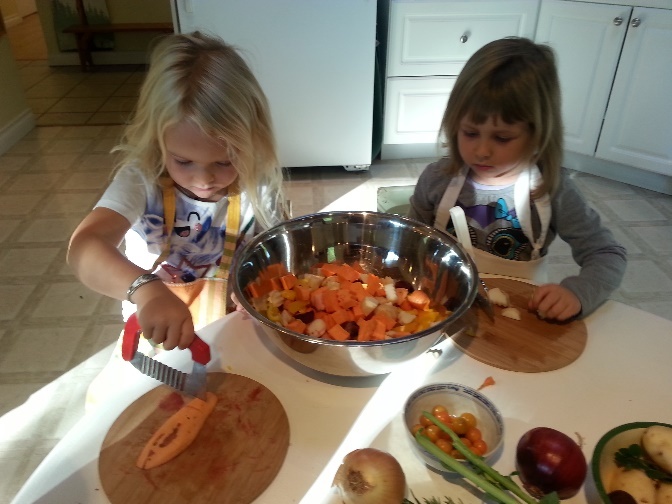 The activities must reflect the child’s interest and teach her new life skills. 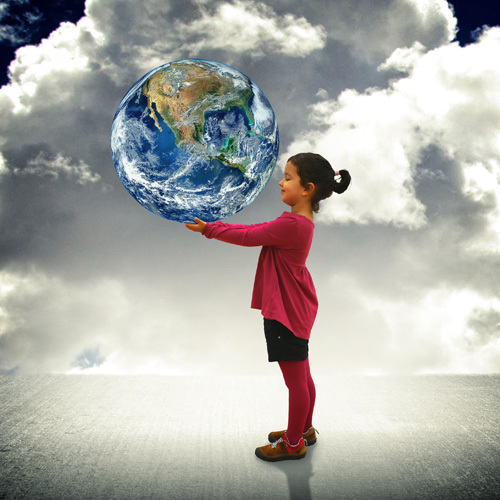 Adults perform these activities to improve the environment, a child does them to improve herself in response to some inner need, it is a process of inner development. 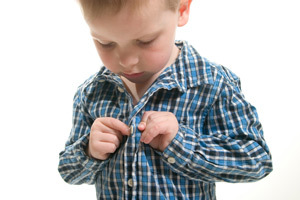 Adults do the task once, the quickest and most efficient way, a child will repeat them over and over again, with no short cuts. She is interested in the process, rather than the end result, and in the acquisition of the skill. The child needs to complete the whole activity from start to finish. The freedom to repeat exercises at will, to practice, leads the child to success. By the acquisition of new skills the child improves hand-eye co-ordination and dexterity and develops spatial awareness. She refines gross and fine motor skills, mental development is aided by satisfying her inner need to grow in self-knowledge and confidence, whilst her self-image improves. 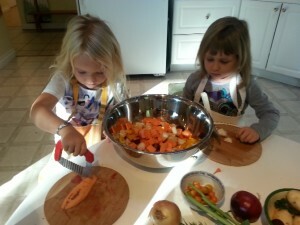 The need for order is also satisfied and the child learns about the enjoyment one gets from work completed. His concentration is developed and ultimately through his independence he will gain mastery of the self. Richard Louv in his book “Last Child in the Woods” coins the term “nature deficit disorder”. He uses this relatively new concept to describe what he sees happening to today’s children as they are increasingly separated from the natural world. He uses contemporary research to show that children have to be in contact with nature for healthy holistic development. That children not only need enough nutritious food and adequate sleep but may also need ongoing contact with nature as well. He feels the free roaming experiences of childhoods past are now too often being replaced by organized, structured “play” experiences. 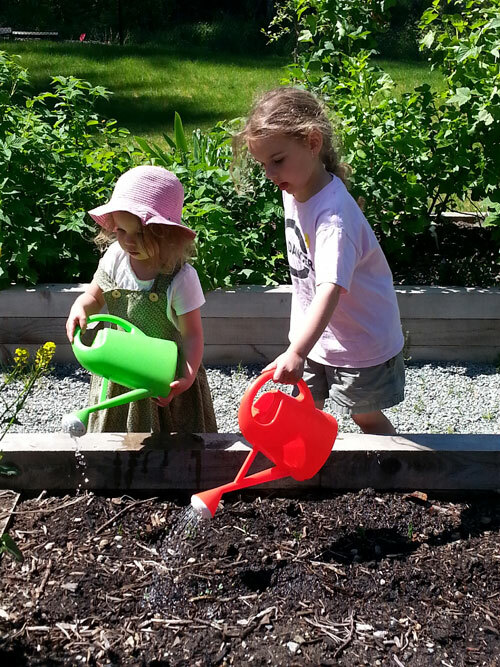 More than 100 years ago Dr. Maria Montessori considered the outdoor environment a natural extension of the classroom. Dr. Montessori believed in the importance of young children exploring the world through their senses and felt that through these early experiences the child would develop an understanding of themselves within the context of the natural world. Her ideal of classrooms where the child could naturally move from inside to outside would she felt, allow for the dynamic integration of science and nature into the child’s day. Ultimately this exposure, this wondering and exploration would lead a child to feel love and respect for all living things, including themselves and each other. I feel fortunate to be a Montessori teacher who can provide opportunities for children to explore the natural world, with classroom walls which expand outwards. New life creates a sense of awe and wonder in all of us and when some Painted Lady caterpillars arrived in the classroom last week the children sat silently while they were introduced at circle time and waited patiently for their turn to look closely at them. The smallness of the caterpillars seemed to create a natural empathy in the children, as they very quietly and gently watched them moving in their containers. Checking on the caterpillars has become part of each morning’s ritual and the children have noticed with amazement how fast the caterpillars have grown. These first hand experiences seemed to excite a real interest in knowing more about the natural world and the lifecycle books, puzzles and activities on the shelves have been much used. 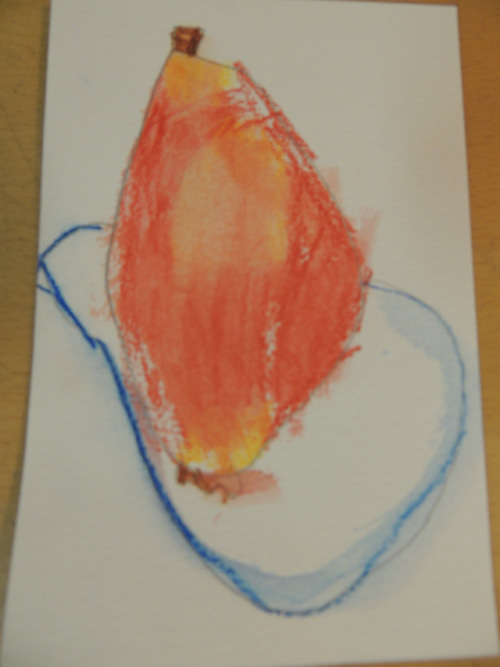 This month each child has had the chance to grow a bean in a jar. It took several days of eager anticipation and careful watering before the first root was seen, but the jars were frequently held, carried around and examined, until finally the little bean seedlings were ready to be transplanted into their own pot of soil and then into their own gardens at home. In our school garden, the children have all helped to prepare the soil and to sow a range of vegetables, from radishes and lettuces to peas and pole beans. What rapidly became obvious was that a child digs in the soil for a different purpose than that of an adult, who wants to get the weeds out and the seeds in as efficiently as possible. A child wants to examine each spider, centipede, worm or wood bug, she wants to feel the soil with her hands, to pour water into the hole she has dug. Planting seeds are interesting to a child but the feel of a wood bugs feet or the slither of a snail across their hand seems to be infinitely more so! Children are fortunate if they can grow up with access to large gardens, but even the smallest patch of ground can provide natural experiences. Soil quickly can be transformed into a miniature wilderness, where seeds can be watched and tended as they grow into vegetables, grasses or flowers, which will attract butterflies and other winged insects. A pile of scrap lumber, old bricks or rocks left to rot will provide homes for an amazing array of crawling insects. A child’s eye is naturally drawn to the small living, growing things at ground level, whether they are found in a field, a city garden or even a window box or a window sill. Four Seasons Montessori our sister school in Nanaimo, shared an article about the third Primary Year and the long term benefits the last primary (or Kindergarten) year can bring to the Primary Montessori student. 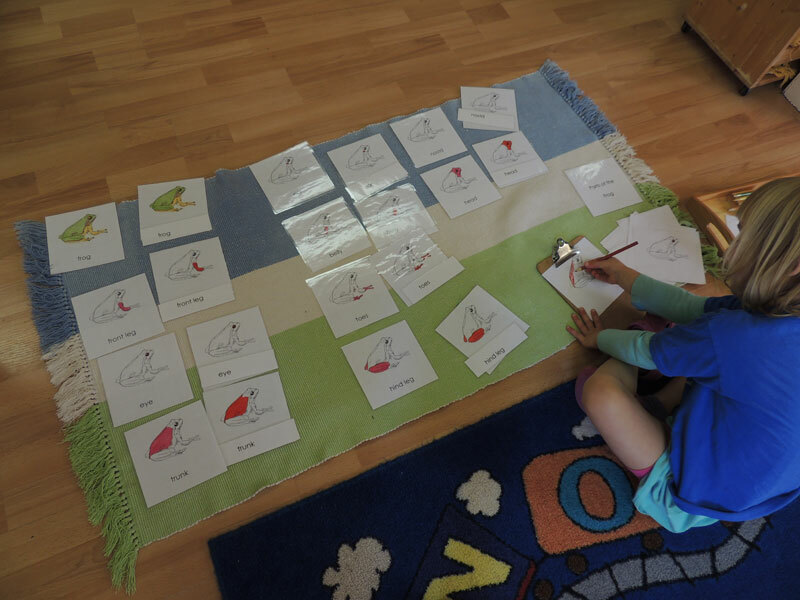 I have felt fortunate to have shared this experience with many kindergarten aged children over the years and this third year in the Montessori class can offer a very special experience to the child. As the article that follows discusses there are many benefits for the 5 year old child, one that I feel is especially important is the development of their self-esteem. Having watched these children as hesitant 3 year olds and then settled 4 year olds, as 5 year olds they seem to blossom as they move with surety through their day. They know that they can take on any task that they choose, further more they are confident in offering their skills to help other children. 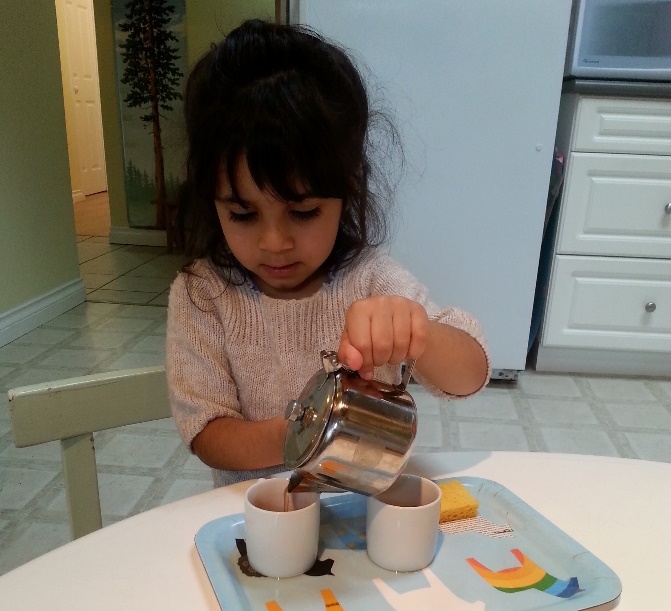 Children who stay in the Montessori program for a third year really do seem to naturally become confident, self-motivated, independent and considerate.